Month 5 was a good month. I think this is the month I began to surrender to my hair. 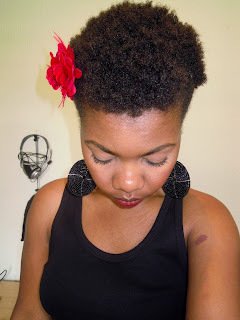 I had gone back and forth on different products (I was fast tracking into the product junkie club) and Fro changed its mind about what it liked and didn’t, for example I used to love the feeling the Garnier Fructis creme gave my hair; all soft and squidgy but now it felt dry when I applied it. This is when I realised that my hair comes out of my scalp, so of course it’ll be picky and stubborn and all the things it is because that’s how I am. I can’t get mad at it for truly being an extension of me. 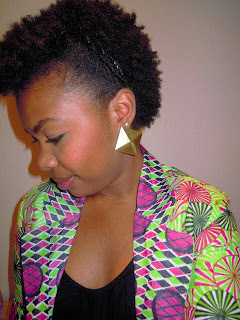 Sounds crazy, but I swear this was a turning point for me and my hair. Instead of forcing and expecting it to be something that it’s not, I began to accept it for what it was and work my way around its little tantrums. I continued shampooing with Tresemme Naturals shampoo, deep conditioning with Organic Root Stimulator Replenishing Conditioner and spritzing with my Daily Spritz. I also mixed up some recipes to make my own deep conditioner so I alternated between those and the ORS conditioner. 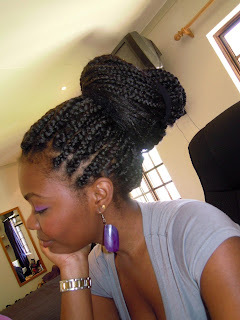 I also continued with flat twisting it in the evenings or when I wanted more definition, putting it in little plaits and rock a braid or twist out the next day. I put them in myself after realising that I was tired and bored and Fro needed a break too. They lasted about two weeks but in those two weeks I missed my own hair so when I undid them, I had a healthy appreciation for Fro again. 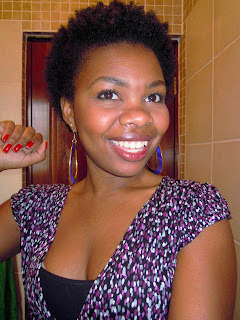 Fro and I hadn’t fought, so I was content while I wrote this monthly review. And that contentment extended to finding ways to style my hair. 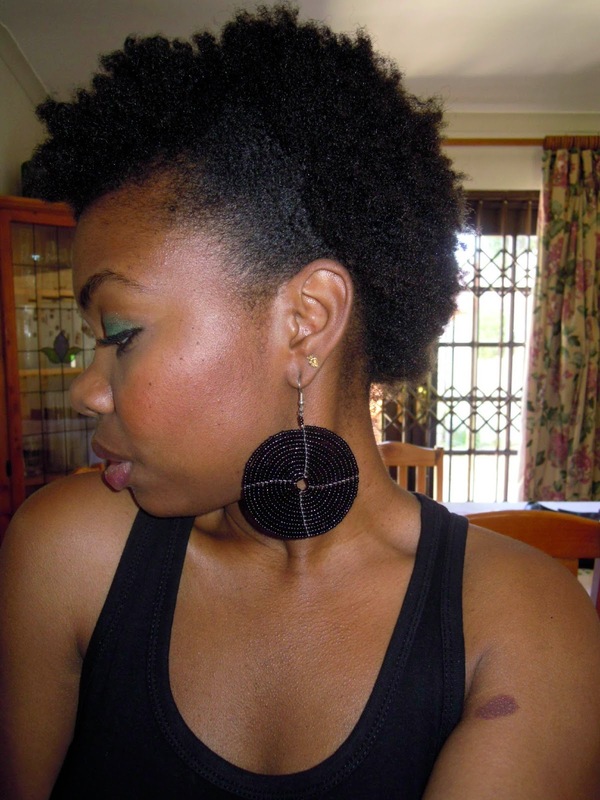 My go to absolute favourite was the semi fro hawk. Once my hair was long enough to pull this look off, I couldn’t get enough of it. I loved how funky yet simple it was. I still love this style and you can see how I do it in this video. This is my hair right now. I thought it wasn't growing but after reading this post again I have re-assured myself that it is. I'm still tryn figure out what my hair likes and doesn't but I'm enjoying the journey. I always seem to come back to your blog and re-read your posts…. Always something to learn the second time around! I can't wait for 5 months! My baby fro has started to reject my low maintenance ways – wants more attention. Was checking out some of your recipes cause something needs to be done asap. Keep the inspiration coming ma chere. Hope to send you some pics of my progress soon. 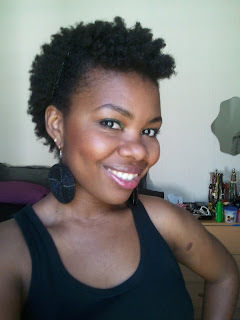 looking at 5 month old fro makes me want to big chop again to that length and wear fro hawks for life! too cute! Yeah, there was something easier about this stage. 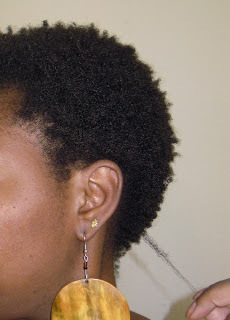 I found my braid and twist outs came out more defined than they do now. But you can still wear fro hawks while your hair's longer!